Stone transforms a space - creating a rich, rustic atmosphere and a sense of strength and permanence. There's a reason the phrase "hard as stone" has been around so long. 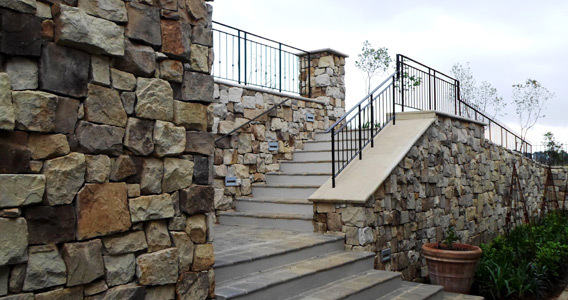 Stone is one of the most naturally hardy materials available, and this helps it withstand wear and tear that might damage or ruin lesser materials. In South Africa the terms Slasto and Slate are used interchangably. Slasto Paving is almost a home grown indigenous design that is unique to Africa. Slasto or Slate is actually one of the world’s oldest natural products. As a material it has an extremely low water absorbtion index which is why it is often used for roofing. As a natural material that needs very little processing it is a very energy efficient. Slate is incredibly durable: it can last up to several hundred years. If you are choosing natural stone for your home you cannot go far wrong with natural slate. As a material it is waterproof and fireproof and energy efficient. It requires little or no maintenance. The water resistant properties of Slate make it an ideal material to use for bathrooms and kitchens. Slate is being used by architects in new and exciting ways. When you think Slate or Slasto you often think crazy paving from the 60's and 70's but have a look at the following Slate Design pictures before you make up your mind. Follow Sandstone Story's board Slate on Pinterest. 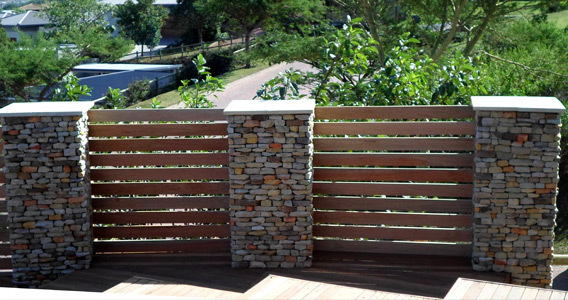 Sandstone cladding is kept clean by brushing the stone with a wet brush. Simply brush stone used on exterior surfaces while rinsing off with a hose pipe. 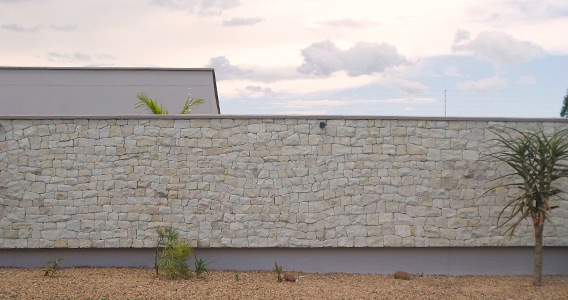 Stone cladding applied to add interesting features and textures to your home and office need not be a nightmare to maintain. Most stone cladding requires very little maintenance and with the right care, your stone cladding will remain in a pristine condition for many years. Not all stone cladding is required to be sealed after application. If you live in a coastal area however, the manufacturer of the stone veneer may recommend that you seal thecladded area after installation. This is merely done to protect your stone veneers from the elements and the additional moisture and salt in the air that may discolour the veneers over time. Stone veneers used to decorate areas that may be exposed to water for continuous periods of time, will also need to be sealed. This includes areas around a swimming pool that have stone cladding applied as well as water features and rock pools. Caring for your indoor stone veneers requires little more than a small amount of mild detergent and some water. Ensure the detergent does not contain any acids that may discolour or damage the stone veneer. Dip a soft cloth into the water and detergent, squeeze out the excess water and gently wipe the stone veneers to remove any dust that may gather on them. One could also merely use a soft feather duster without any water to clean and care for your indoor stone veneers. The best summer nights always involve good people, good food, and a space that encourages good conversation. Keep all those good feelings going well into the night with an outdoor fire pit!